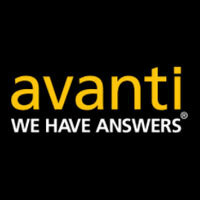 TORONTO, January 22, 2015 – Avanti Computer Systems Limited, a leading provider of Print MIS solutions, today announced strong customer growth in the first quarter of its 2015 fiscal year. As it continues its growth curve, the company is pleased to announce new customers in both the In-Plant and Commercial print markets. For printers to compete, they require instantaneous access to all aspects of a job as it moves through the shop, while eliminating breaks in the workflow. When integrated with the various systems within a production environment, and the appropriate external systems, a print MIS can provide efficiency to a printer by identifying key information such as workflow bottlenecks, and by streamlining tasks such as job estimating and scheduling, all of which can save money. Avanti is excited to welcome the following new customers: ADR Inc.; Joseph Merritt & Company; Talient Action Group (TAG); and Accu-print. Additionally, Avanti announced that PMI Printing and Marketing of Union City, California went live with Avanti Slingshot. In an effort to bring Avanti Slingshot live as quickly as possible, each system ships with a QuickStart Database, an Estimating Standards Library, and migration and import tools, dramatically streamlining the transition from an existing system. For 30 years Avanti has provided innovative, award-winning Print MIS solutions that help print-shops and marketing communication organizations automate all facets of their business and cultivate a more meaningful customer relationship. Avanti’s solutions are the most open in the industry; are JDF-certified, fully integrated, and extend from web-to-print through to production and billing. 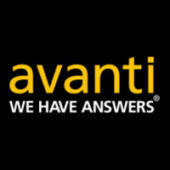 www.avantisystems.com.